E2 is a combination of the two treatments Pellevé and eMatrix. 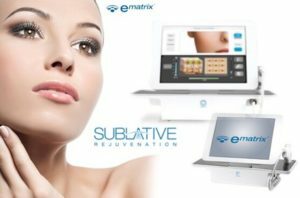 Sublative Rejuvenation with eMatrix Laser Skin Resurfacing is a treatment that uses radio frequency to deliver an effective but yet controlled ablative fractional treatment. With the E2 treatment, a 30min eMatrix treatment is given to reduce fine lines, wrinkles, and acne scarring. Pellevé is a treatment that heats the deeps layers of the skin just enough to stimulate collagen changes without damaging the top layer or epidermis. 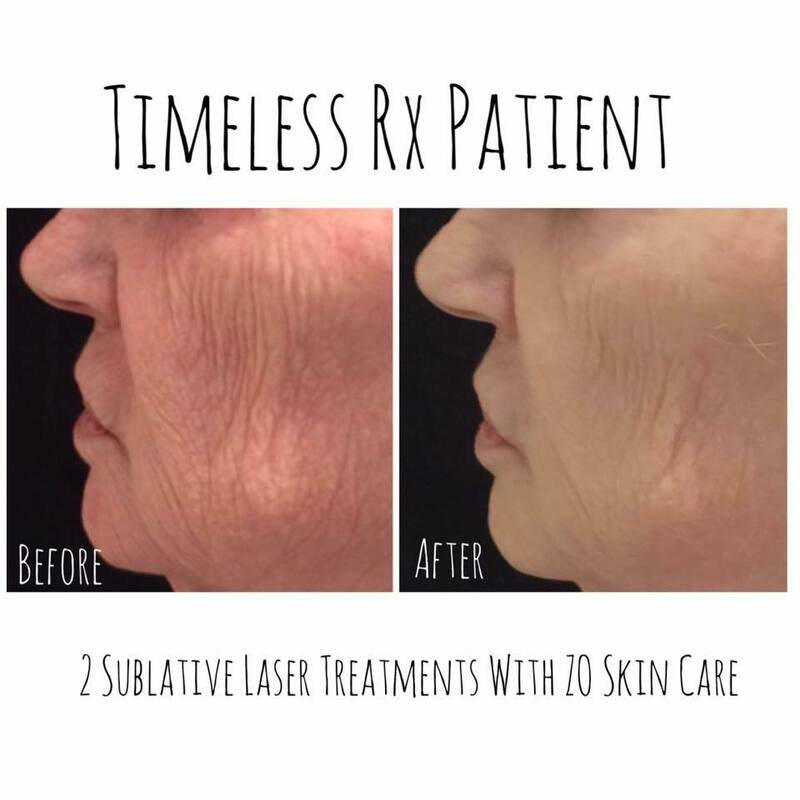 With the E2 treatment, a 30 min Pellevé treatment is given to tighten, firm, tone, and brighten aging skin. How do I know if I need E2? E2 is a combination of the two treatments Pellevé and eMatrix designed patients who want to improve the texture and tone of their skin. Pellevé firms the skin around the eyes (crows feet, under eye wrinkles and lax skin), cheeks, jowls, neck, lines on the forehead, nasolabial folds, sagging skin under the chin, wrinkles around the mouth, excess skin on the upper eyelid and wrinkles in the chest cleavage. With a typical result, you will see an improvement in skin laxity as there is a visible improvement of skin tightness and your skin will look more radiant. The immediate effect is truly excellent. However, over a few days your skin will not look quite as good as it did immediately but you will see a difference and improvement in your skin than before the treatment. To see optimal results, you will need 1-2 additional treatments. At the end of 3-6 months, you should see a noticeable improvement in skin brightness, texture and firmness. Immediately after a treatment there may be some redness and/or mild swelling, although usually this dissipates before you leave the office or within a couple of hours. All medical devices have some risks. The skin could overheat causing a blister. The blister could get infected or heal poorly and cause a scar. If you do not report a metal containing object in your body, that object could become heated, which may or may not have consequences. If you have a pacemaker it is possible it could be activated or inactivated. Also, as with any cosmetic procedure, you may not receive as good result as you anticipated. Prior to treatment all potential risks and side effects will be discussed with you by your medical provider and cosmetic coordinator. During the Pelleve session, your skin will be cleansed with a gentle cleanser to mildly exfoliate and clean. An individually wrapped grounding pad will be placed on your back which conducts radiofrequency. Then, a protective and conductive gel will be applied to the treatment area. No anesthetic or numbing cream is necessary as the treatments in not painful. As the hand piece is moved across your face or areas to be treated, you will feel a warm and massaging sensation that can at times feel very warm to hot. We treat the area for 3-5 minute in order to maximize your collagen production. Most patients have redness and swelling with eMatrix for a few hours to 3 days after the treatment (occasionally it can last longer). 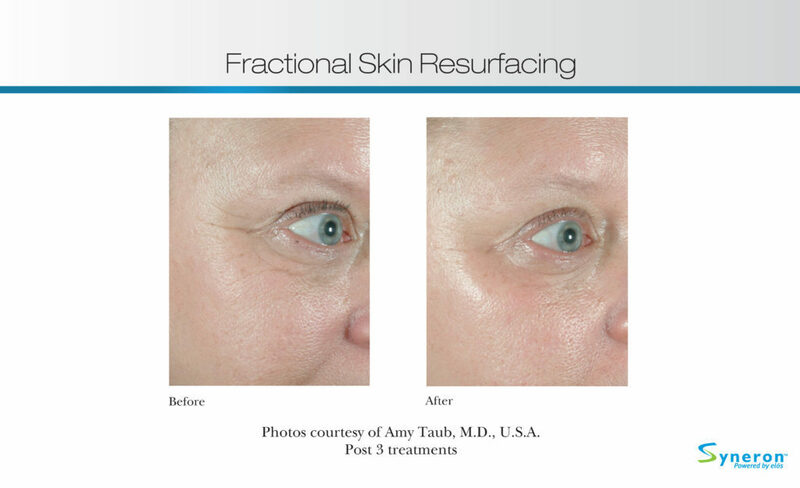 You may apply make-up to the treated area immediately after the Sublative rejuvenation procedure. Tiny crusts develop and are present for about 5-14 days, but these are easy to camouflage with makeup or even without it after the first one to two days. Results will develop over time and with subsequent treatments. Full results can be appreciated at three to six months following the last treatment. Maintenance treatments may be necessary.